If having Amazon's Alexa invade your smart home and smartwatch wasn't enough, the voice assistant could soon be making its way into your car. 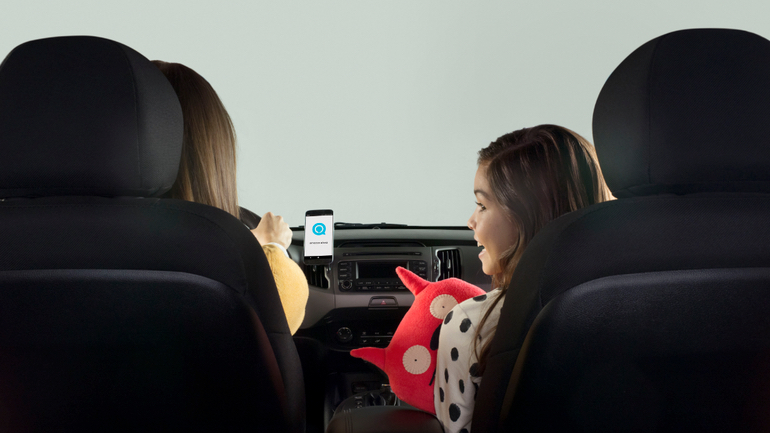 That's after Logitech announced its ZeroTouch app, and its air vent/dashboard mounts, have made friends with Alexa. The idea of the Android-only app is to make your phone completely hands-free and the ZeroTouch gizmos hold your device in place with magnets, communicating with the app through Bluetooth. You can then use gestures to activate the device and send/receive messages, play music and send your location through the power of your voice. "We're excited to collaborate with Logitech to bring Alexa into the vehicle," said Aaron Brown, director of Amazon Alexa. "Voice is the future, and this is particularly true in cars. The ability to use your voice to control your smart home, manage to-do lists, access Kindle content and more makes for a safer, more enjoyable driving experience." As you can gather from the busy clip above, Logitech's voice assistant is fairly conversational. And now combined with Alexa integration, the updated version can handle information requests involving the weather, news, and sports - and around 8,000 other third-party skills. It's a pretty affordable setup too - the dashboard ZeroTouch dock is $79.99 and the air vent model is $59.99. But while this nifty integration with Logitech is unique for Alexa, it's not an entirely fresh concept. Google recently partnered with Hyundai to allow for similar control, shortly after Ford announced its own deal with Amazon. The Alexa integration is only available through Android and the ZeroTouch app in the Google Play store. For those who have the latest version in the UK and US and also own an Amazon Account, though, Alexa could be set to follow you around even more.